Since we we’ve been old enough to walk and talk, we’ve been taught to take care of our teeth. “Brush every morning and every night!”, “Don’t eat to much candy or your teeth will fall out!” or “Don’t rip the tags with your teeth!” are just a few of the common bits of advice we’ve been given over the years to protect our teeth. But as a dentist, I can’t help but wonder—what about our gums? I know, I know—many of you may be thinking that it’s the dentist in me that’s making me say this, but I can assure you—it’s the individual in me that truly cares about your overall health that’s speaking this time. 1. They act as a sealant. Gums protect your teeth and bone structure. When bacteria enters your gums, their role is compromised, and as a consequence, your teeth and bone structure are compromised as well. 2. They help prevent heart disease. 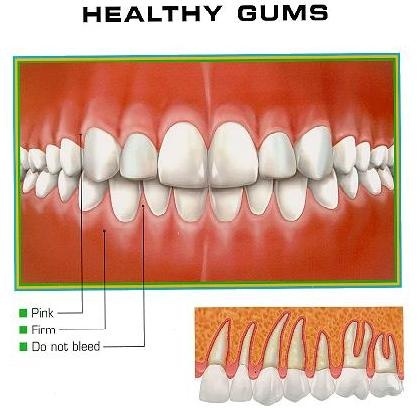 Okay, your gums along don’t prevent heart disease, but there is a direct correlation between heart disease and gum disease, one so strong that I feel okay saying: Keep your gums healthy, decrease your risk of heart disease.